Deproteinizing Sample Preparation Kit | K808 | BioVision, Inc. Unique tool to prepare samples for the analysis of a variety of small molecules, proteins are precipitated, excess PCA is removed, samples are neutralized. • Samples prepared using this kit can be directly used in a wide variety of small molecule bioassays. The presence of protein and various enzyme activities frequently interferes with the analysis of small molecules in biological samples. Many bioassays require removal of proteins from samples prior to analysis. 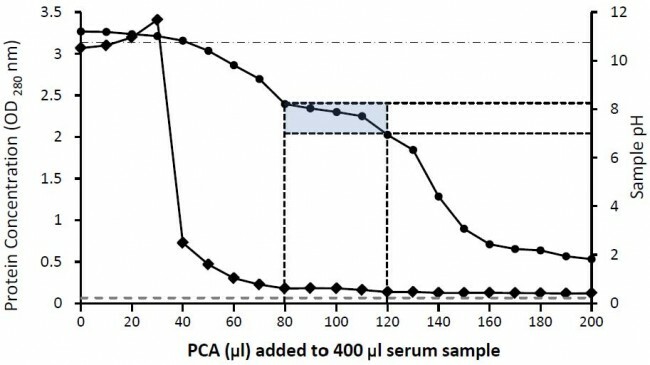 Among the deproteinization protocols developed over the last half century, perchloric acid (PCA) precipitation has been extensively used in many different sample preparation procedures, since not only does it remove most of the protein present but it also functions to stabilize many of the small molecule analytes. PCA deproteinization methods have been successfully used in the preparation samples prior to quantitation of an array of small molecules, including glycogen, ATP, cAMP, glutathione, antioxidants, etc.The newly designed Deproteinizing Sample Preparation Kit utilizes a PCA precipitation method, providing a unique tool to prepare samples for the analysis of a variety of small molecules. Using the kit, proteins are precipitated, excess PCA is removed, samples are neutralized. 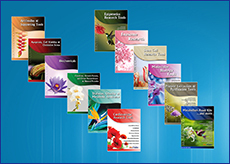 Samples prepared using this kit can be directly used in a wide variety of bioassays. The method is easy, convenient, and can be used for the preparation of a large number of samples. Schneider, Gabriela et al. (2016) Induction of a Tumor-Metastasis-Receptive Microenvironment as an Unwanted Side Effect After Radio/Chemotherapy and In Vitro and In Vivo Assays to Study this Phenomenon, Methods Mol Biol. 2016;1516:347-60. Koczor et al., AZT-induced mitochondrial toxicity: an epigenetic paradigm for dysregulation of gene expression through mitochondrial oxidative stress. Physiol Genomics, Oct 2015; 47: 447 - 454. Kim et al., Mice expressing reduced levels of hepatic glucose-6-phosphatase-α activity do not develop age-related insulin resistance or obesity. Hum. Mol. Genet., Sep 2015; 24: 5115 - 5125. Entomol et al., Effects of Oral Exposure to Fungicides on Honey Bee Nutrition and Virus Levels. J Econ Entomol, Aug 2015; 10.1093/jee/tov251.